An independent school is planning to export the traditional values of the British public school to Kazakhstan. 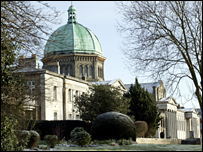 Haileybury in Hertfordshire has signed a deal to open a new school in the country's largest city, Almaty. Haileybury-Almaty looks set to be the first British independent school in Central Asia. It is hoped some 80% of its pupils will be Kazaks. School master Stuart Westley said research revealed there was a market for a British school in Kazakhstan. He said: "Haileybury is delighted to be part of this exciting opportunity which reflects the great interest in and respect for the values of the British public school clearly evident now in many parts of the world. "We feel very complimented to know that there is a desire for another Haileybury in Kazakhstan." He added: "The education system in Kazakhstan is predominantly a government education system so there is a very small independent sector. "There are a few international schools in Kazakhstan." Haileybury says it already has strong links with the country because it currently has 14 Kazak pupils at the school. A further nine have attended the school in previous years. The new fee-paying school, which is being funded by international developers Capital Partners, will initially have 640 pupils aged three to 13. It will follow the English curriculum but offer International GCSEs. Although it is hoped the vast majority of the pupils will be Kazaks, the remainder are likely to be British and other ex-pats made up from the children of international and diplomatic communities in the country. Most of the classes will be taught in English, but the school will also focus on teaching the Kazakh language and history. Capital Partners director of educational development Alister Bartholomew said Kazakhstan was experiencing extraordinary growth and high levels of inward investment. He added: "With this school, we want to make our contribution towards complementing this incredible growth, adding a new alternative to the country's existing schooling provision."